The Food Research Institute, NARO (NFRI) aims to promote a healthy and rich diet for consumers and to address the country's food supply issues through scientific analysis on food and health, development of technology to ensure the safety of food, and development of innovative distribution and processing technologies. 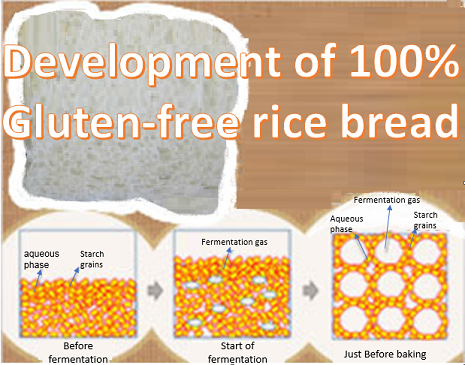 The Food Research Institute, NARO (NFRI) in collaboration with Hiroshima University has developed a technology to manufacture 100% gluten-free rice read from basic ingredients such as rice flour, water, dry yeast, sugar, salt and butter, without using any additives or special equipment. The use of rice flour with less starch damage and devising the fermentation and baking processes facilitated bead-making with a specific volume of 4 mL/g or more which is comparable in consistency and volume to traditional wheat bread. This 100% gluten-free rice bread is suitable to people with wheat allergy or celiac disease, and is also expected to contribute in expanding domestic rice consumption. Read more. Press release link. As part of a research project for the new demand and creation of agricultural products supported a grant from the Ministry of Agriculture, Forestry and Fisheries (MAFF), the NFRI has released an onion recipe book. Onions have been found to contain polyphenolic flavonoid compounds, particularly quercetin which exhibit antihypertensive effects on humans, and a provides a countermeasure against metabolic syndrome. Part of the study focuses on processing methods to trace the changes in the functional ingredients during cooking in order to find a cooking method that can be used for a more efficient intake of quercetin. Additionally, NFRI has collaborated with Sapporo Medical University and Soubetsu town in Hokkaido to determine the daily quercetin intake from foods available in market. 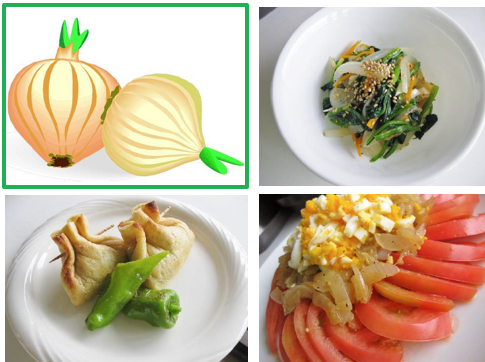 As part of these initiative, a recipe collection for onion was released containing various ways of maximizing the health components of onion. The recipe is currently available in Japanese only. Link to the recipe book here.